You can read this article on page 15 of The Break Magazine, available now. I created this column to bring you, the reader, a fresh perspective on some professional and semi-professional matches. The goal is to share a video with you, and direct you to some highlights to illustrate my points. You enjoy a wonderful video of two great players, and get to bask in my immense wisdom. Ahem… or something like that. This month, I attended the 2013 BCAPL National Championships at the Rio Hotel and Casino in Las Vegas, Nevada — both as a participant in the Mixed Open Team Tournament, and as a spectator for the Pro events. I thought it would be great to share a video with you that was fresh and new, and was from an event I was fortunate enough to witness first-hand. I could not record my own video. Video recording was strictly prohibited. The authorized recording, done by The Action Report, is not yet published. Something else happened during my stay there that I really want to talk about. Ok, so the biggest reason is #3. I promise next month’s article will be all about the video, and I hope to use a match from the event. I love to teach, and I love kids. So when I heard about the Billiard Education Foundation, I knew right away that I wanted to get involved. I spoke to their representatives, and I’m well on my way! I also had the privilege of sitting next to the parents of two of the girls involved in the event. As we were waiting for the semifinal match between Carlo Biado and Walter Cheng, they told me how their daughters were doing (Amy, 10 and Karen, 13 — not their real names). Both were still in the winners’ bracket! They told us how they placed 3rd and 4th in the Internationals, and how they owned six (six!!!) pool tables back home. They were obviously quite proud. Dad just shook his head. I could understand the nervousness he must have felt, but wow, was he negative! Surely he wouldn’t put that onto his daughter, though… right? I tried to give her a little support: “Aw, she was just trying to give her opponent a fighting chance,” and winked at Karen. She gave a wan smile as her parents herded her away. He continued telling her everything she did wrong in that match as they disappeared into the crowd. As we were watching the Cheng/Biado match, I watched Karen’s next match when I could (she was at the next table over). She got up 4-0 early. Then, she lost a few in a row. I cringed to think what her father was going to say to her. Soon, the match was tied 6-6 in a race to 7. Next time I looked, they were gone, and I didn’t know who had won. I ran into her father a few minutes later while I took a quick refreshment break. Something Karen and Amy’s mother said to me really stuck with me. She told me that her youngest, Amy, was very aggressive, and outgoing. Karen, however, was more shy and reserved, and not very aggressive. I sensed that she and her husband saw this as a weakness. Every person is different. Each daughter must be approached differently, and coached in a way that gives them the best chance to succeed in future matches. Browbeating them, and pointing out their mistakes (especially in the midst of a tournament) is not the way to do this. Dad, I hope you get a chance to read this. I hope and pray that you give your daughters lots of love, support, and positive reinforcement while they play. Otherwise, all you are going to do is make them resent the sport, and they will quit. It’s a game. It’s supposed to be fun. Let them enjoy the sport, and please don’t turn it into a chore. 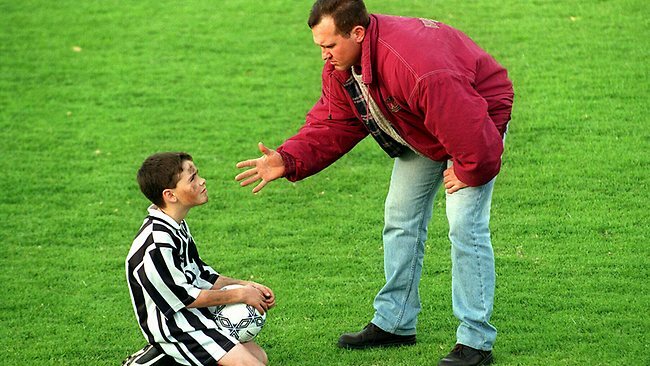 Celebrate their successes, and console them when they lose. Save the constructive criticism for the practice table. ‹ We Had a Rio Good Time!